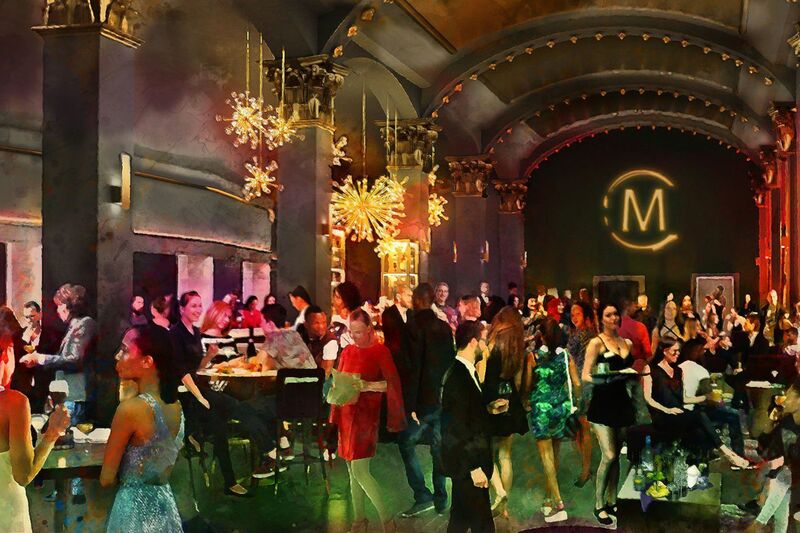 Live Nation Philadelphia will debut an upscale lounge inside the Met Philadelphia ahead of a Mariah Carey concert next month. Dubbed the Grande Salle, the 3,400-square-foot lounge will serve as an area for “pre-event and post-show socializing,” as well as private events, and will be open during events. The Met will hold a grand opening celebration for the lounge on April 3 prior to Carey’s scheduled “Caution World Tour” stop at the venue. The lounge is located above the Met’s lobby, and features a 360-degree bar, as well as tables and booths for full-service dining, which will be handled by Brûlée Catering. The menu will rotate based on performance and will reportedly incorporate Philadelphia flavors and international cuisine. Guests will be able to watch Met performances from the lounge via two 70-inch television screens with sound via a nine-speaker Clair Brothers sound system. For luxury’s sake, the space also features 11 chandeliers from Allegri Crystal. Access to the Grande Salle is included with tickets for VIP premium seats, and can be purchased as an upgrade online or at the venue starting April 3. Attendees can enter the Grande Salle via a designated entrance just off Broad Street, or from inside the Met via the venue’s main entrance and VIP level.